I’ve cheated twice in my life. Once, in Chemistry class in High School and, also, on every single diet I have ever been on. Which, yes, I’m counting as one giant instance of cheating. I’m just taking every single diet cheat and rolling it into one giant ball of shame. Is that fair? I mean, I’m not here to diet shame myself. I’m here to admit I made a mistake and let you know what I did to try to fix it. I’m only human, people! 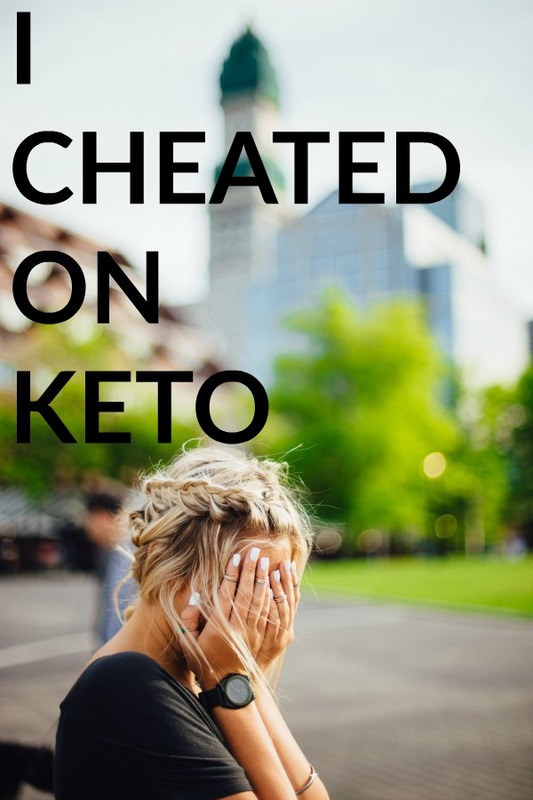 Here’s what happened when I cheated on Keto. So, I guess you want to know first: What did I eat that was a cheat? KFC. I went big. I had FRIED CHICKEN and MASHED POTATOES and THE OTHER KIND OF POTATOES THAT YOU GET AT KFC. Sorry, that wasn’t fun to type, I swear to God. Oh and COLE SLAW. Which has a metric ton of sugar in it, apparently. By the time I put my spork down, I was already feeling not just sick to my stomach, but sick to my heart or whatever other place guilt comes from. Now, as a reminder, I’ve been on this Keto Journey for a few months. I joined Keto Bootstrap in November to help me with meal planning, recipes and, most importantly, motivation! You can see my previous updates here, here and here. Those are in chronological order. When I started I was 148lbs. When I got on the scale today, I was 131. That’s 17 POUNDS! I’m this close to being back in the 120’s. I think in my last update I mentioned that I was disappointed with how I looked while trying on clothes. This update, the additional 4 lbs that I’ve lost, I’m starting to look good. Like EVERYONE is noticing the weight loss. I officially need to buy new pants. I’m thrilled that I managed to still see the scale go down after that cheat night. Cause I think I also had a cookie or two. As soon as I was done inhaling all of that food, I started to research what you should do when you’ve cheated big time on Keto. I found some great ideas and I tried almost all of them. I’m not a huge water drinker. I know I totally should be and I try to remember to drink it as often as I can, but there’s no caffeine in water so sometimes it’s a choice between a drink that will keep me awake for a few more hours and a drink that will keep me alive for years to come. However, the day after the cheating scandal, I made sure I drank plenty of water. Even if I wasn’t thirsty. I just kept a cup full on my desk all day and kept drinking and refilling and drinking. I also made sure to have some salty almonds nearby so that I didn’t flush out too much salt. Ok, I sort of did this. I had a keto friendly shake for breakfast, a few snacks and another shake for lunch and then I ate a normal Keto dinner. I didn’t do this to restrict calories. I did it because I wanted to be 100% sure I was not getting too many carbs or too much sugar. I made sure to get some good fat in the snacks that I ate. The Day After the Cheat Day I wanted to be the most perfect Keto dieter I could possibly be. My snacks after the cheat day were all higher in fat. Mostly Peanut Butter and Almonds. I’ve learned through Keto Bootstrap that fat is super important to keeping your body in Ketosis. You want your body burning fat. It’s very science-y. 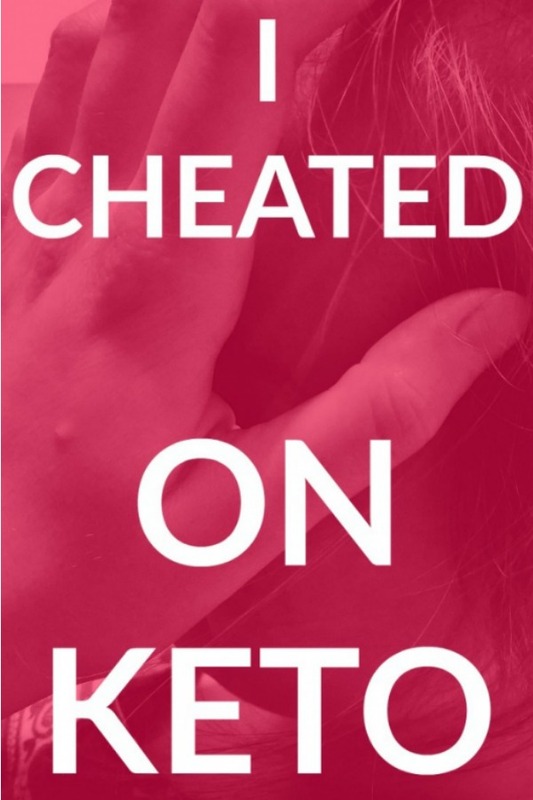 You can read all about it on Keto Bootstrap. I didn’t do this. But everything I read said you should. I’m going to start exercising. I swear, I am. I just have this pulled, um, muscle. In my, ahhh, leg. Yeah. But exercise really needs to become a part of this weight loss journey. I was initially worried about gaining weight when I return to exercising, but I checked in with my Keto Bootstrap people and they assure me I should not gain weight because of the gym. Further confirming the fact that I have previously used the gym as an excuse to eat terrible foods. So that’s what I did (and what I didn’t do but should have) when I cheated on Keto. Apparently Keto is a forgiving soul because I am back in Ketosis and still losing weight. Does that mean that I’m going to cheat again? Absolutely not. I know it is a very slippery slope back into the throes of full on Carb addiction. And I don’t want to ever be back there again. I still feel amazing, I’m starting to look amazing and I’m not about to give any of that back for the sake of some cookies that will give me momentary bliss. I’m just not doing it. However, if I’m ever in the midst of another possibly hormone induced fit of cravings, at least I know I can get myself back on track. At least I have a game plan for that. Do you want to know exactly how goods these were? Here’s a little story for you. I made a dozen. I had a smidge of leftover dough. I ate one cookie. It was delicious and, surprisingly, very filling! 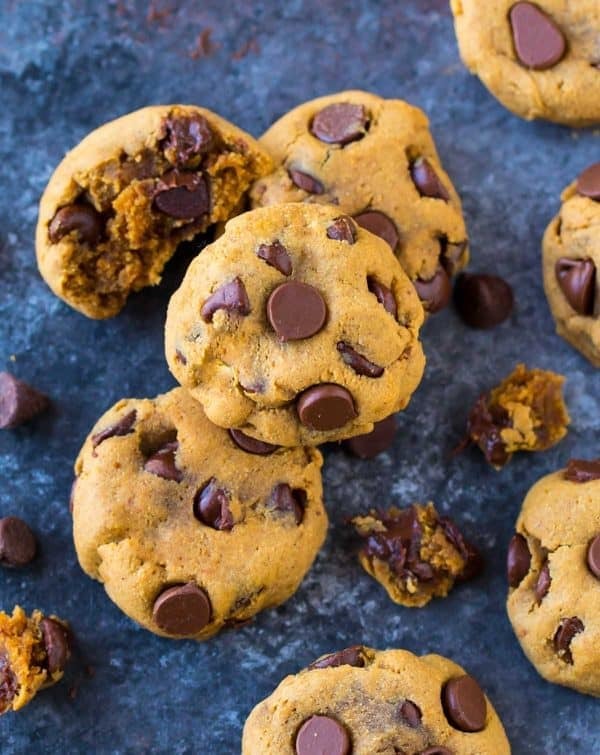 I don’t think I have ever in my whole entire life of 42 years on this planet eaten only one cookie. Cookies are my thing. So, of course, even though I didn’t even want it, I made myself eat a second cookie. I should not have done that, ps, because it was my head and my taste buds that wanted that cookie, not my stomach. My stomach was like, “What the hell, lady? We’re all set down here! Stop shoving food in your face!” (My stomach is from New York. It talks with a New York accent, just FYI, if you want to read that again in the correct accent to yourself. The rest of me is from Boston and speaks in a Boston accent. Just so you know). So, now I have ten cookies left over and a teeny ball of leftover cookie dough. I yelled to the kids that I had cookies. I figured they would eat one and be like, “BLECH! 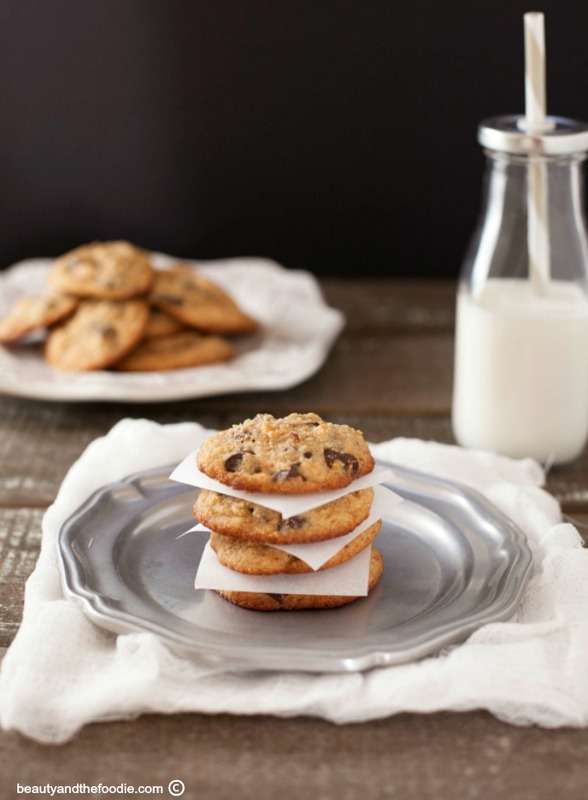 Diet Cookies! Disgusting!” And then make those faces, like when they stick their tongue out and swipe at it with their hands to remove the offending food. I was wrong. They ate ALL OF MY COOKIES! I only have two children, ok? That’s five cookies each! I didn’t even know it was happening. There were cookies and then suddenly, there were no cookies. And I had only eaten two and I only half enjoyed the second one. Thank God I had saved a little leftover dough. I had just enough to make three more cookies. Which I ate for dinner the next day. I love how they look a little crispy on the edges. Mmm… The kids aren’t getting their hands on these. Fine, maybe a couple for them. Up next in my Keto plan is to finally start exercising. Keto Bootstrap has a Workout Challenge that delivers workouts right to your inbox that you can do from the comfort of you own home. I’m totally going to start that and report back to you, I promise. Hi Teri! I like the GNC Lean Shake (Chocolate) and I also like the Nature’s Promise brand from my local supermarket,Stop & Shop (also Chocolate!). The Market Pantry one from Target isn’t terrible either. Can you please share the name/brand of shake?? Do you have recipe for a-ketogenic friendly shake? 15 lbs. and went on 2 short trips and got lost somewhere………just had another birthday too!! HELP HELP HELP!! !